I recently bought a flat of blueberries at an incredibly cheap price (yay summer fruit!) so I started hunting for recipes in which to use them. 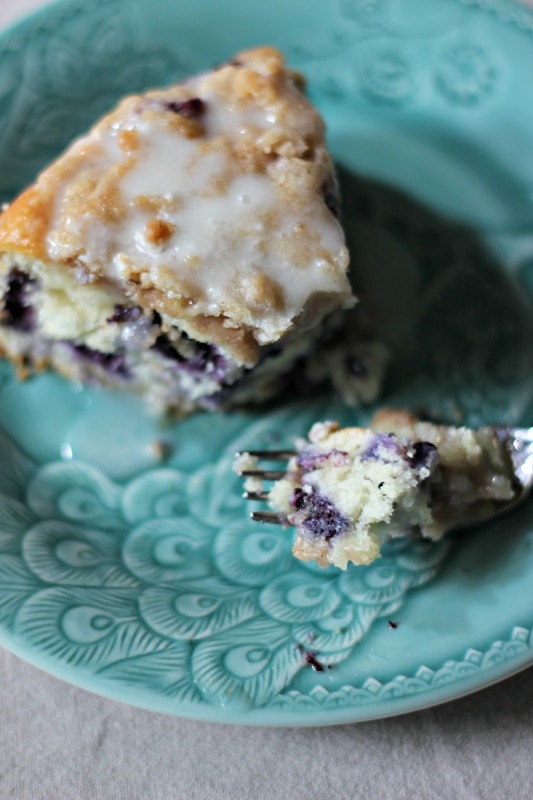 Lo and behold, I came upon a blog called Cookies and Cups and lucky for me, she had a beautiful looking blueberry muffin cake recipe. I used the recipe you'll find on the website but I added in about a 1/4 cup of sour cream to the batter. This cake is the bomb! It baked up beautifully, high and golden. The crumb is dense like a muffin so it is hearty and would pair perfectly with tea or coffee as a breakfast treat. 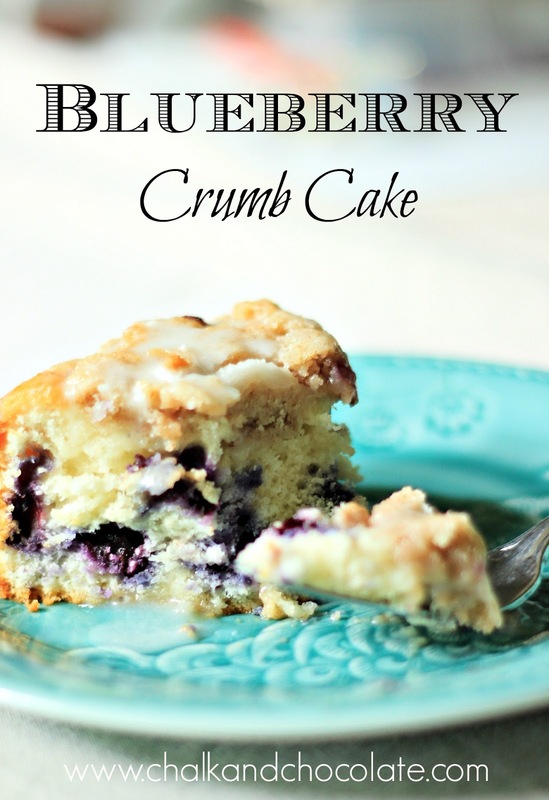 But the crumb topping is by far the best part. It is just the right amount of topping to cake ratio, which if you are a fatty like me you know that the correct ratio is important! I urge you to make this cake and I think it would be luscious with fresh raspberries as well. Next time I make it I may experiment with other fruits...maybe diced peaches! I wish I had taken pictures of the full cake but it got eaten up quickly. This is literally the last piece! 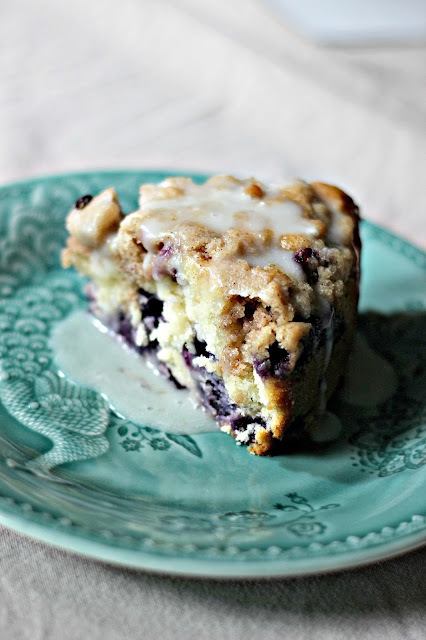 I have another blueberry recipe coming too! Stay tuned! It has been so darn hot here in NJ and frankly it has made me into a slug. So rather than actually doing projects I have been just pinning everyone else's! So here are my ten most recent pins from Pinterest! 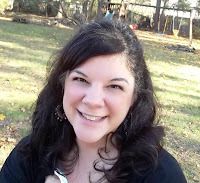 Maybe you'll find some new people to follow, including me! Pin from the original source, please! 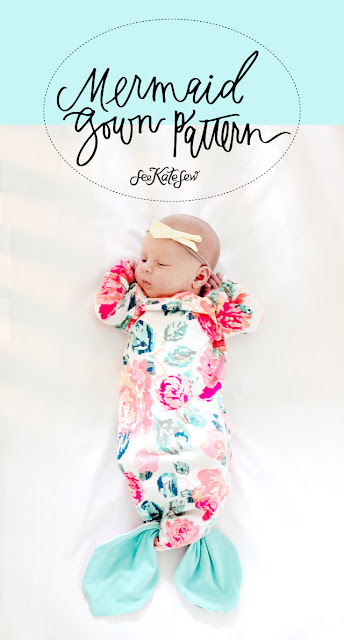 This little mermaid baby gown from See Kate Sew is so incredibly cute that I may have another baby just so I can dress her in this! She also has a review about some monitoring baby socks which seem very cool. This got pinned because I keep a board full of sewing ideas and tips. Molly loves making things with embroidery thread for friends...bracelets, necklaces, etc. 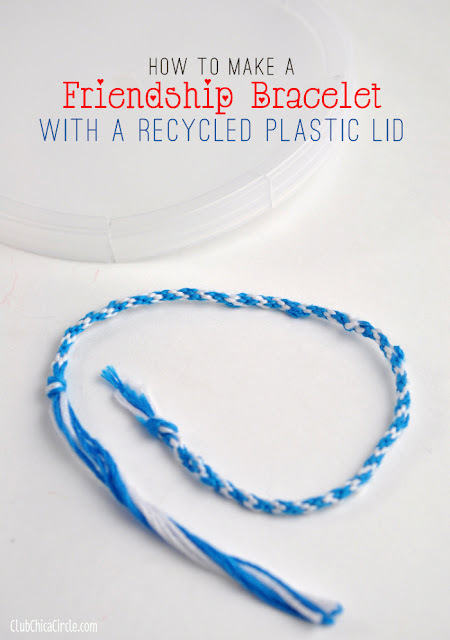 So I thought this Friendship Bracelet tutorial would be up her alley! Check out Club Chica Circle for the directions! 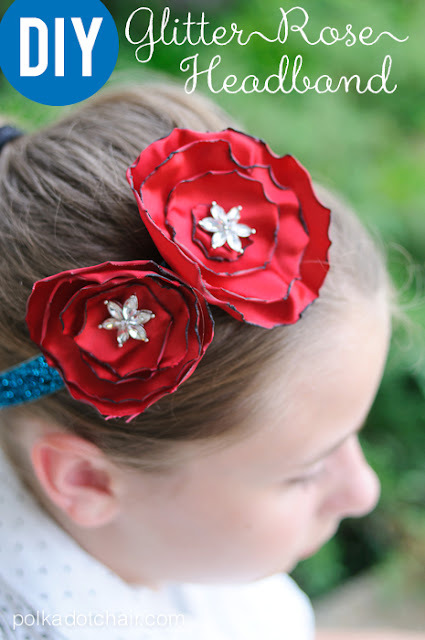 I have tons of other kids craft ideas pinned! 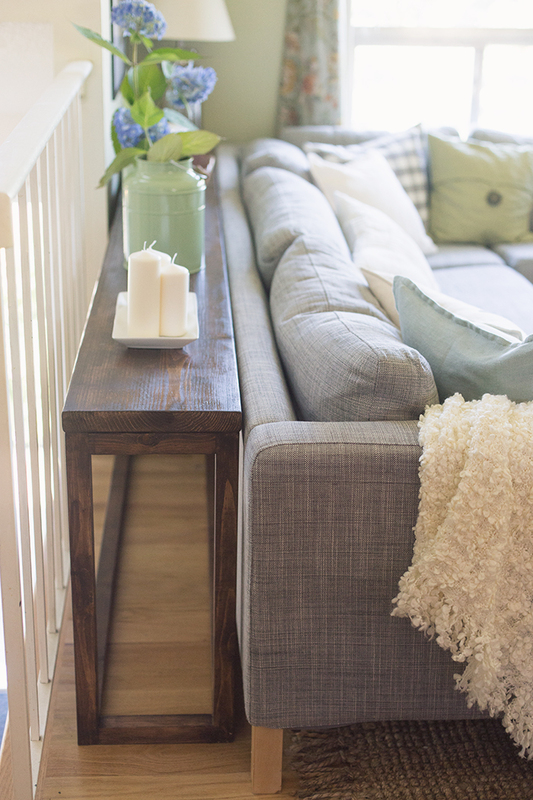 Simple Stylings is starting a monthly series of home tours and she starts with her parents AMAZING lake house. Every single detail is gorgeous...you have to go and drool at the picture filled post. 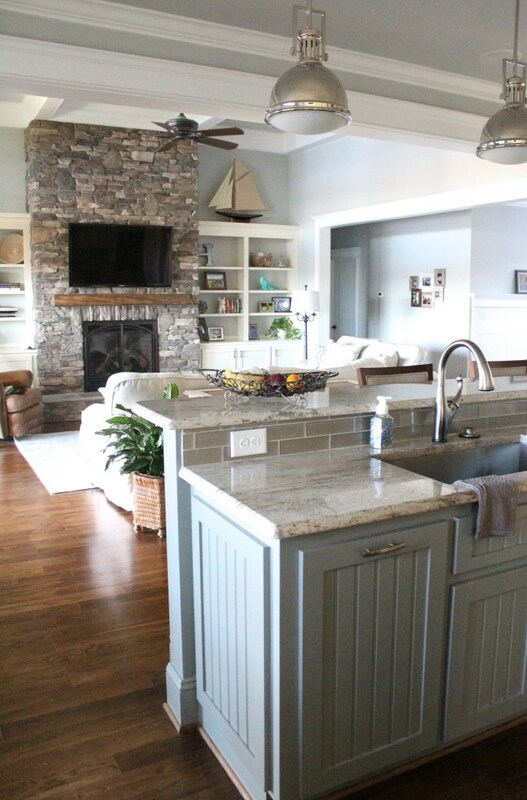 I specifically pinned this post to my living rooms board because I love the stonework on the fireplace. I don't have a pantry, sadly. 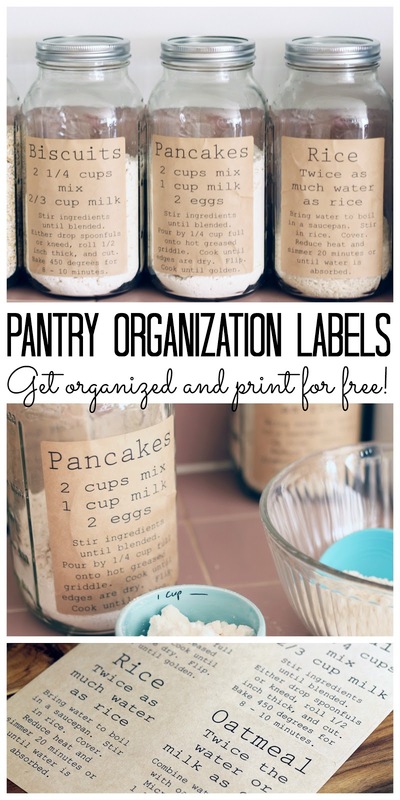 But I do have plans to have one someday and when I do I will have these awesome labels from The Country Chic Cottage! We have the perfect place for this pretty table. I am pinning this so when Jim is looking for a project he can whip this up for me! You'll find the plans on Ana White! 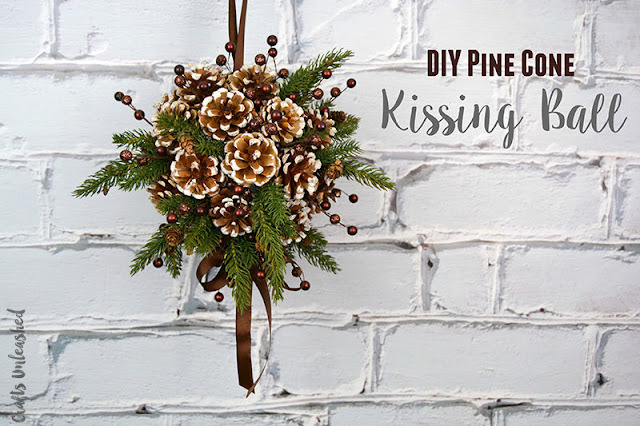 This kissing ball looks easy and festive for the whole winter but I pinned it to my Christmas board to keep the idea from slipping away! 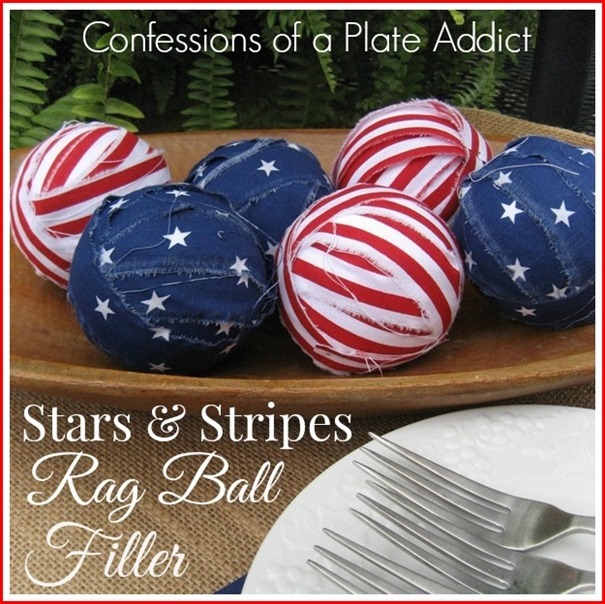 Thanks to Crafts Unleashed by Consumer Crafts! 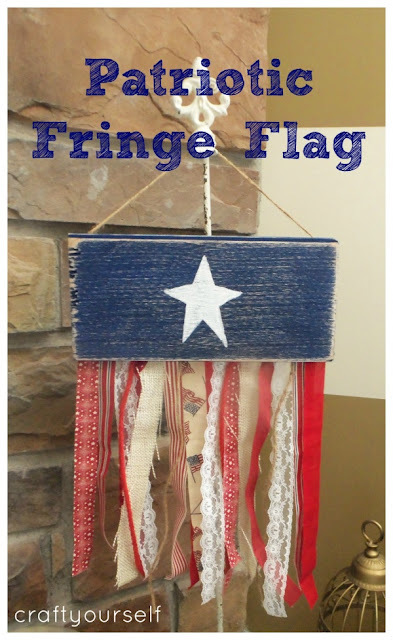 By September, my kids are pretty bored so I thought I would look for some easy crafts they can do to pass the time until school starts. 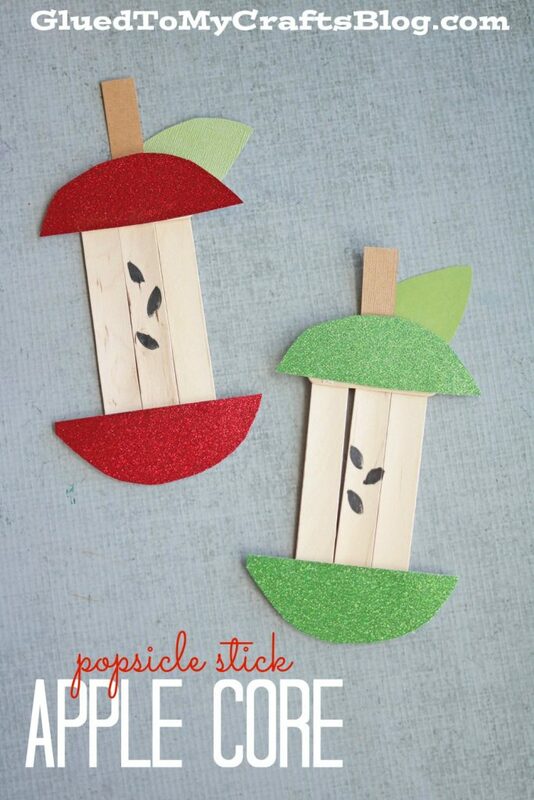 These apples by Glued to My Crafts is perfect! 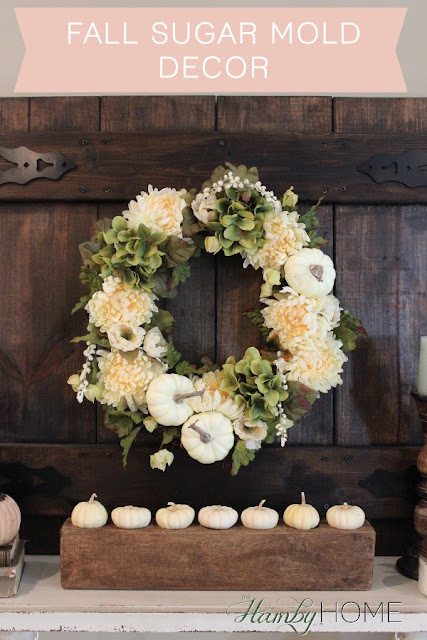 We are still in summer here and school doesn't start until after Labor Day but Pinterest is looking ahead so while I am still pinning summer ideas, this pretty mantel by Hamby Home needed to be pinned to my Halloween/Fall board. 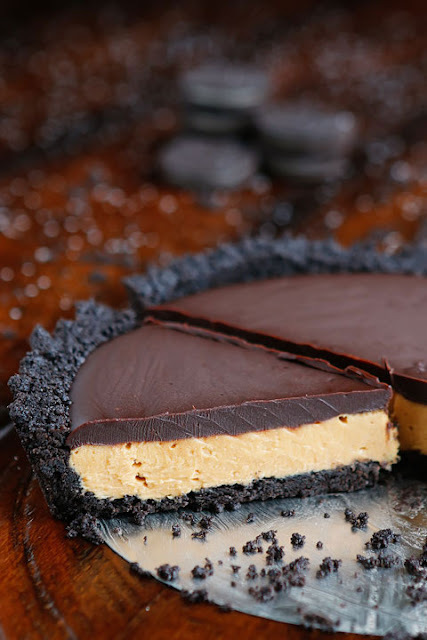 Kevin & Amanda shared this luscious looking chocolate peanut butter pie. Any time I don't have to turn on the oven in the summer is ok with me! 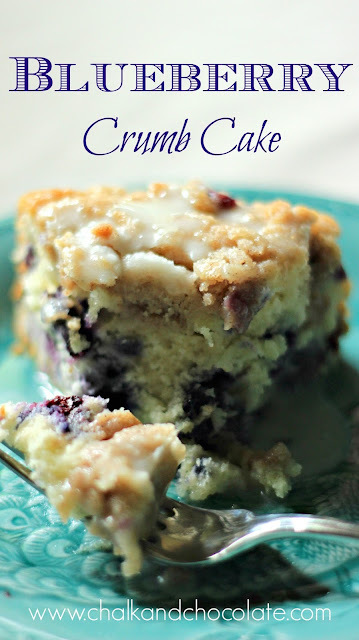 I pinned it to my Recipe board! I really don't know why I pinned these cute paper bag books. I do have a teaching board that I use to save ideas for the someday I go back to my own classroom as a full time teacher. 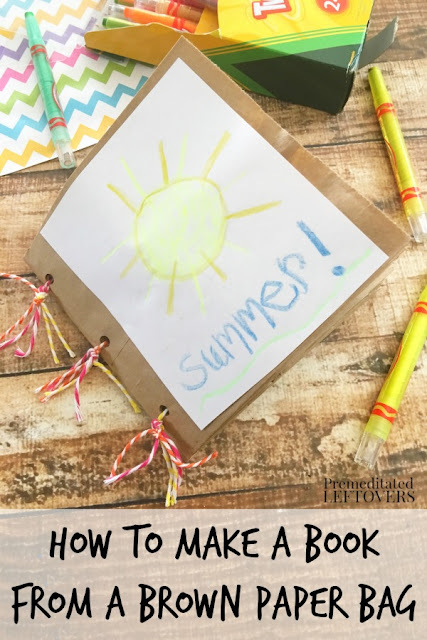 Premeditated Leftovers' idea for making books is great! There you have it! 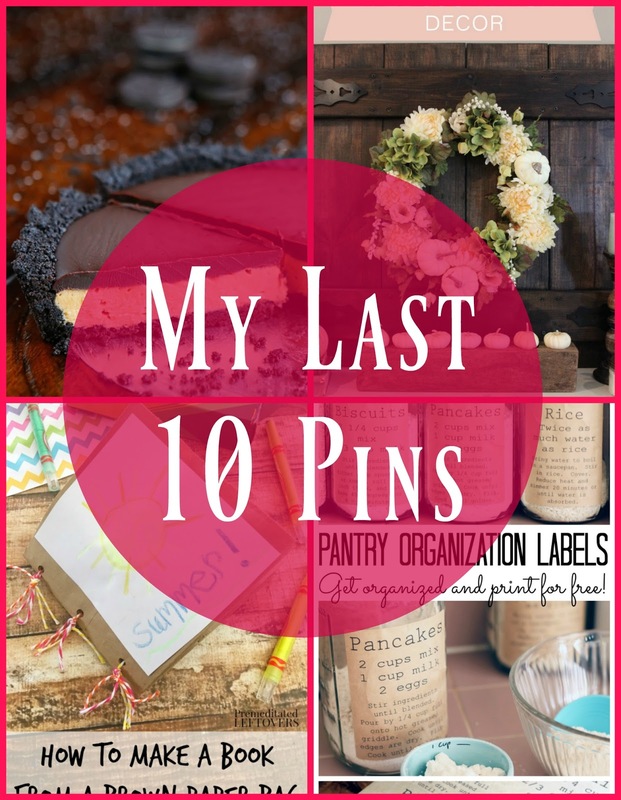 My last 10 pins. Visit these blogs, pin, and enjoy! A few months ago, you'll remember that I had the opportunity to visit the new World Market store in NJ. One of the goodies I came home with was a bag full of sea glass. The colors were so lovely and soothing that I couldn't resist adding them to my summer decor! 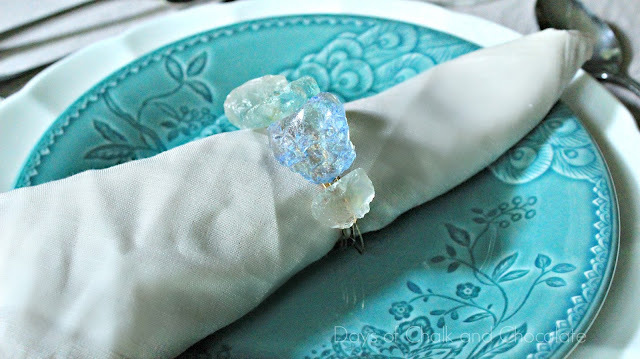 But alas, they called to me in a different way and I used them to make some sparkly DIY napkin rings for my summer tablescape! 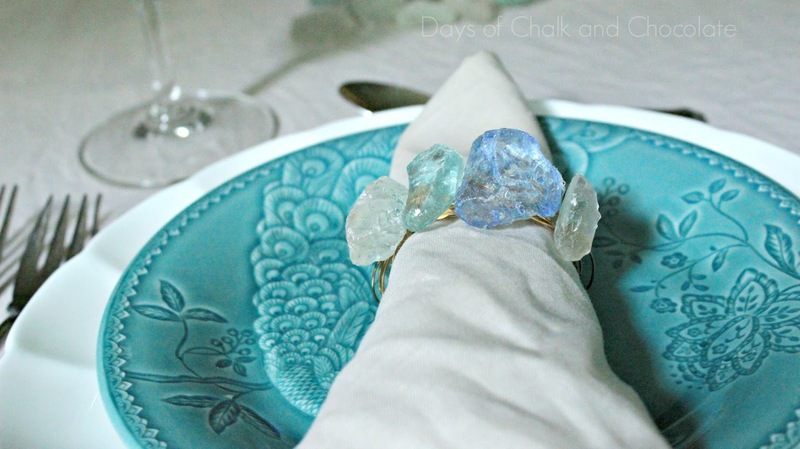 These DIY sea glass napkin rings were so easy and fun to make! 1. 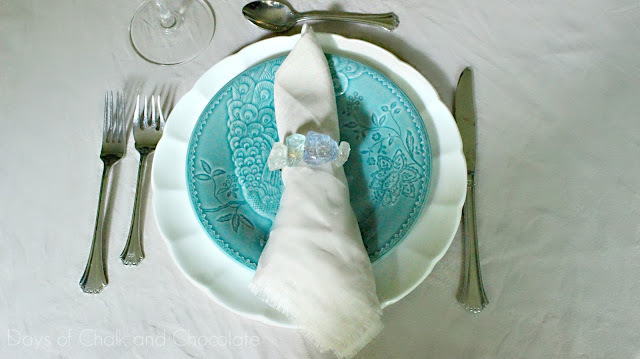 Wrap the wire around your napkin ring 8 (or more) times. I found 8 to give me the size I wanted. 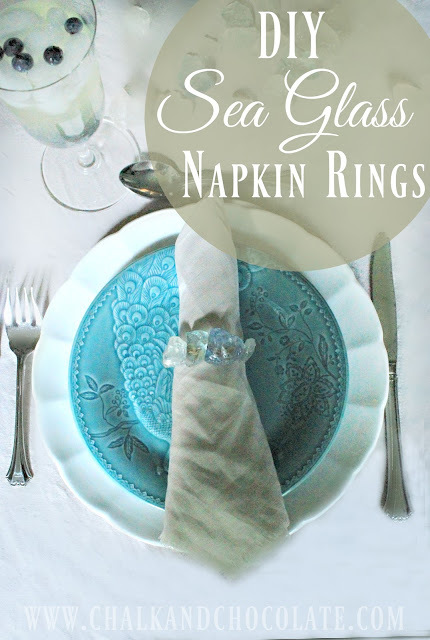 Cut the wire, slip it off the napkin ring, and twist the ends together. 2. Apply a bit of hot glue to the twisted ends and start gluing on your sea glass. I found 4-5 pieces was the perfect amount depending on the size of the glass pieces. 3. That's it! 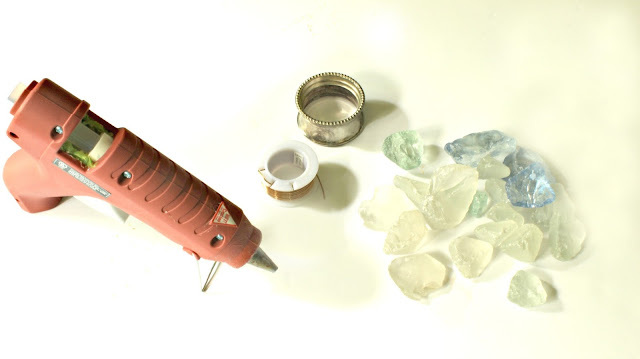 Gluing the rocks to the twisted ends cover any sharp edges of the wire. 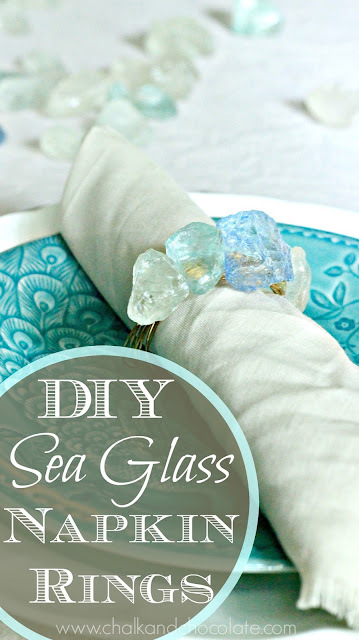 I cut squares of linen, frayed the edges, and slipped my new no-sew napkins into my new DIY beach glass rings! The watery blues and greens send me back to the beach! They remind me of gems...beach gems! If you enjoyed reading about my DIY beach glass napkin rings please PIN or SHARE! Thank you! 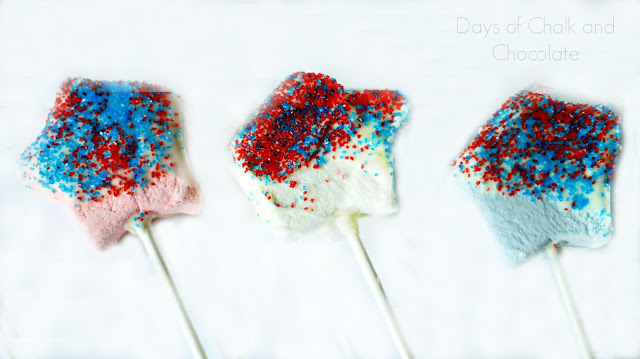 These patriotic marshmallow pops make the perfect last minute 4th of July treat! They were super easy to whip up. 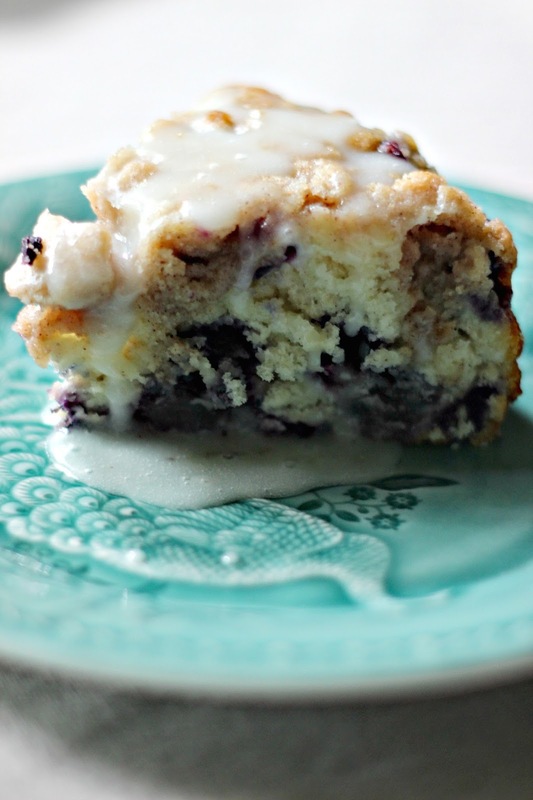 In fact, it is a great dessert to make with kids, Molly and Ellie did these by themselves! Aren't they cute? 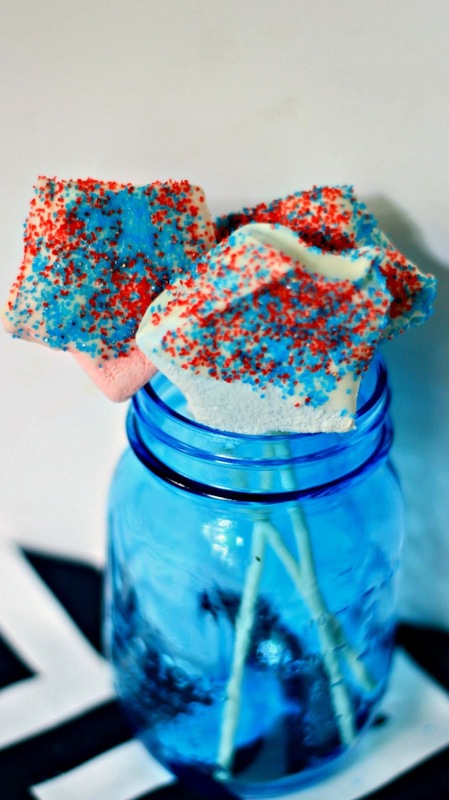 Even if you can't find the star shaped marshmallows, the red, white, and blue, sugars would make any marshmallow perfect for a holiday get together! You'll need lollipop sticks, white melting chocolates (I used the wafers you find in craft stores), and red and blue sprinkles or sugars. 1. Melt the candy wafers in the microwave. 2. Dip the end of the lollipop stick into the chocolate and then into the marshmallow. The melted candy will help the marshmallow stick to the stick. 3. Dip 3/4 of the marshmallow into the melted white candy/chocolate. 4. 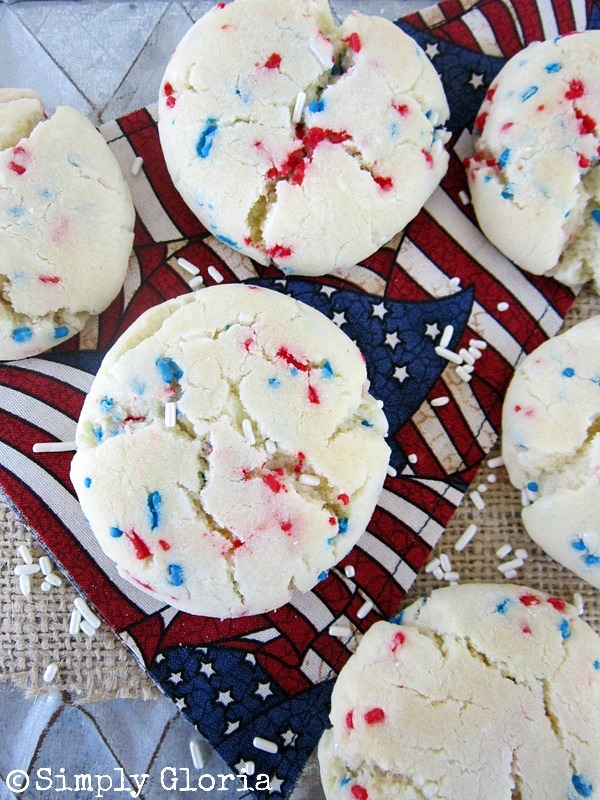 Sprinkle with the red and blue sugars or sprinkles. So cute, so easy, and very kid friendly. 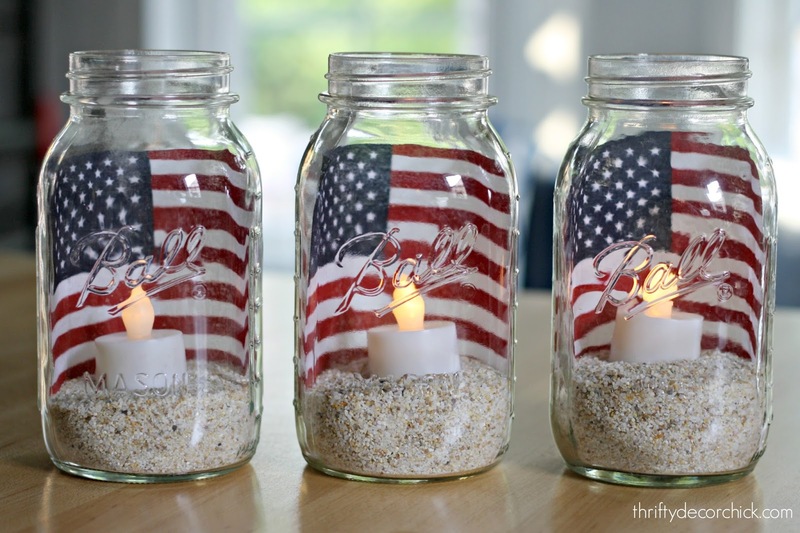 Happy 4th of July, my dear friends! 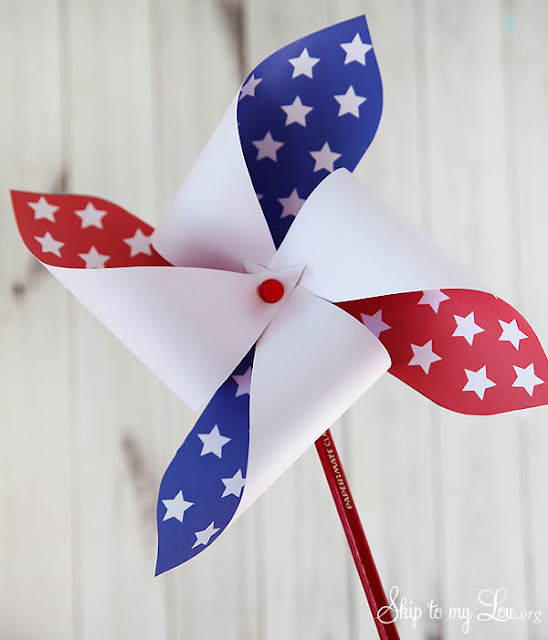 Let freedom ring! 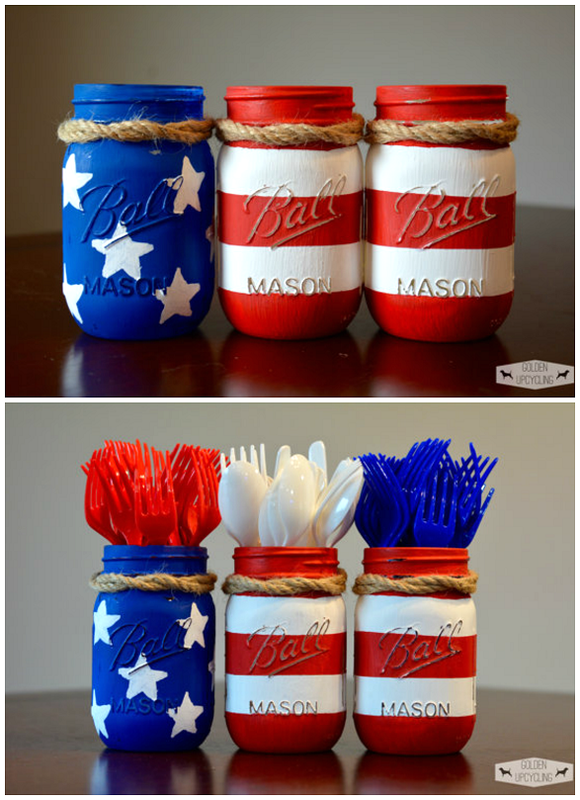 Are you ready for this 4th of July holiday weekend? 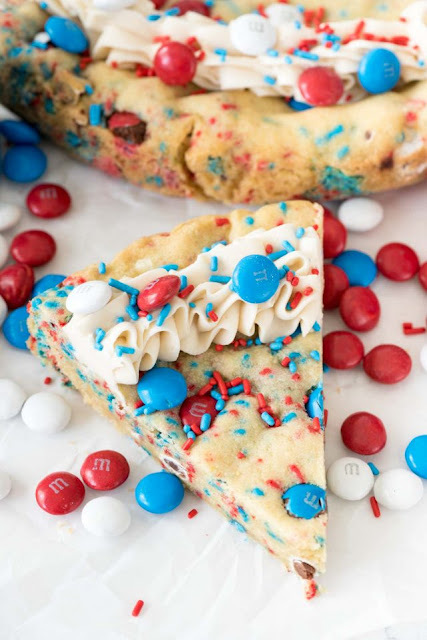 Do you have your red, white, and blue out? 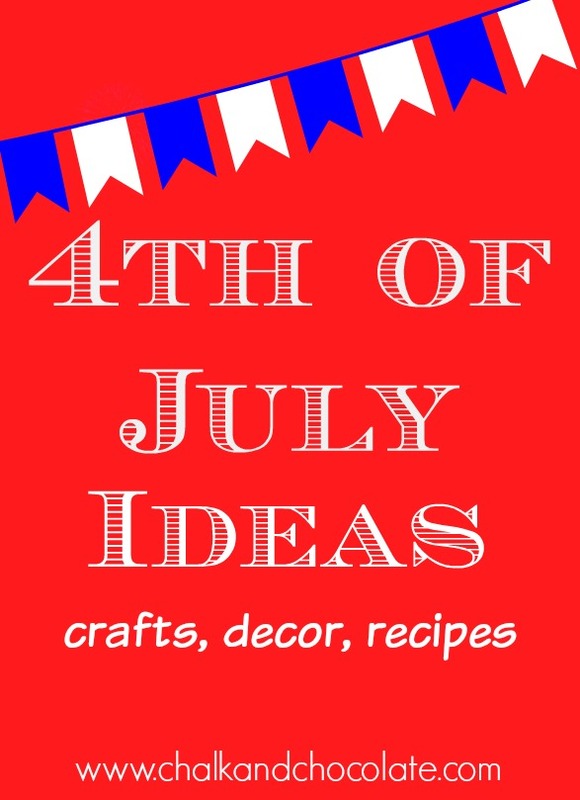 If not, here are some ideas to get your patriotic juices flowing! Please pin from the original source. Thanks! About 11 years ago, Jim and I had a sweet little house that had a sweet little fence around it. 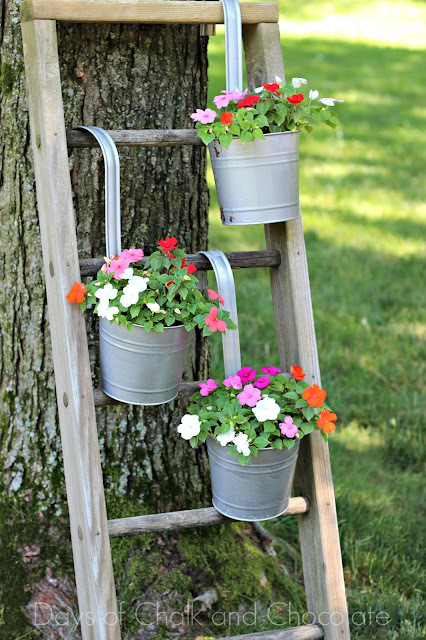 I ran out and bought three of those hanging planter flower pots that you can hook onto fences and planted purple pansies in them every year. 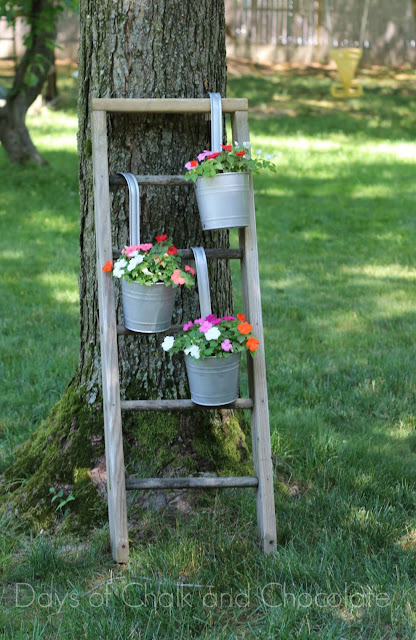 When I dug those three flower pots out of the garage it was a signal that spring had arrived. They were pastel colors when I bought them but spray painted them black with chalkboard paint after a year or two. After we moved into this house, I sprayed them hot pink so they could hang off the clubhouse part of play set since we no longer had a fence. Fast forward to this spring. 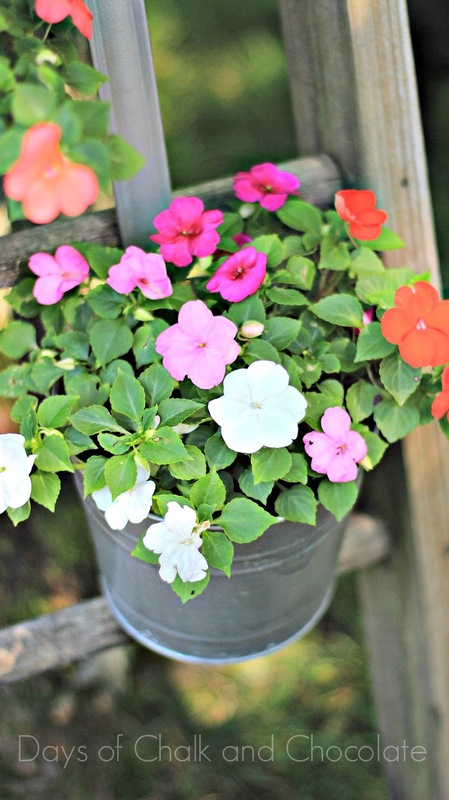 I once again dug out those three little hanging planters but knew they wouldn't stay hot pink for long. 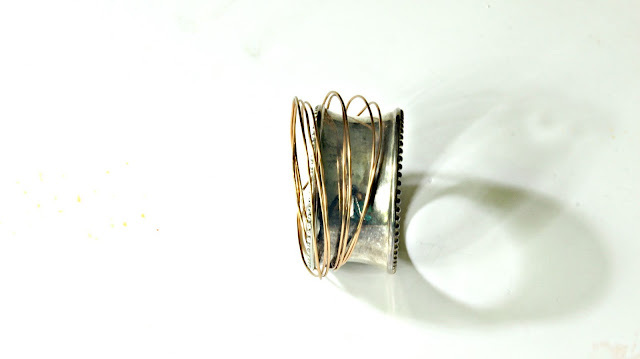 In trying to get a galvanized effect, I spray painted them with a hammered nickel paint. It didn't exactly come out looking galvanized at all but I am happy with their silvery hue. It is way too hot for pansies so I planted some inpatients in them. 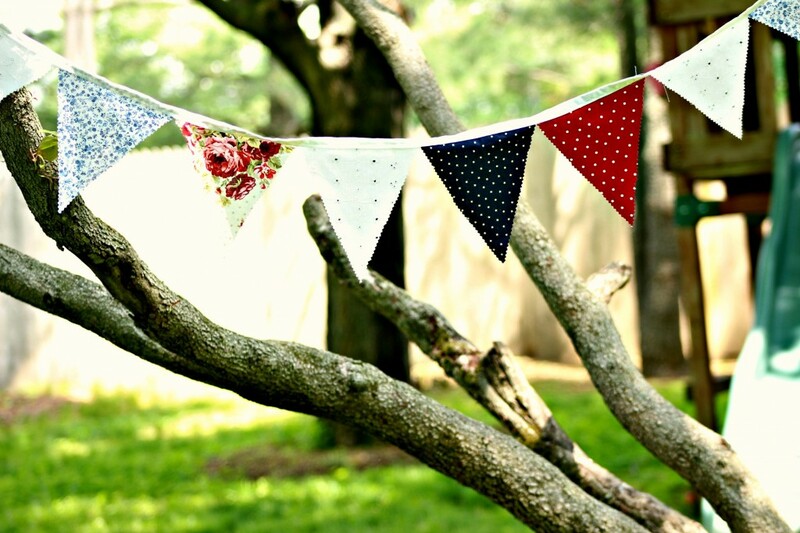 Then I wandered around the yard wondering where I could hang them. In the vee of the dogwood tree? The neighbor's fence? Running to the garage, i dragged out an old wooden ladder that I carted out of my neighbor's garbage 2 years ago. Jim moved it from here to there when looking for things in the garage. Now I finally had a reason to pry it out from between the old stroller and the weed whacker. Propped against a tree, it made the perfect plant stand for my wee little pots of love. 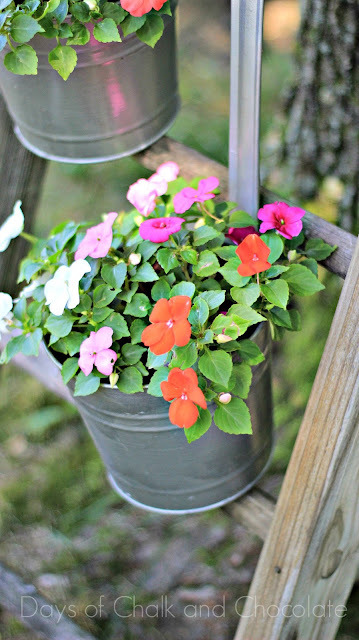 It was so easy to change the look of these and I encourage you to embrace spray paint. It is such a cheap, easy way to freshen up your old flower pots! 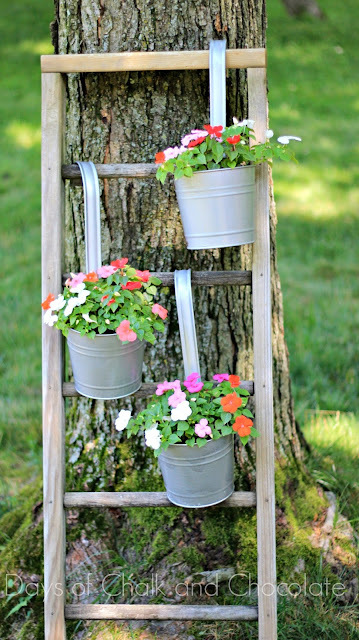 I am wondering if a little watered down gray craft paint might make these look a bit more galvanized. What do you think? What do you have tucked in your garage that could be made new again? Thank you for joining us today. This is going to be my last time as co-host of Dishing It & Digging It as I'm taking a bit of a hiatus from the blogging world. As much as I love blogging, I'm finding that my priorities are changing as my husband prepares to retire at the end of the year. My garden is calling, the golf course needs me and I generally need to take a bit of time away from the computer. I'll be posting occasionally as the call of the blog returns, but for the remaining weeks of summer I won't be around too much. I'll be reading your blogs though! So don't stop creating gorgeous home decor ideas, making beautiful dinners and gardening to your hearts content. And continue to check out the other hosts of Dishing It & Digging It as the party continues each Sunday at 4 PM ET.